Brugmansia and Datura look alike, but they are actually different plants. Here are a few tricks to tell them apart. Both are called “trumpets” in common language. 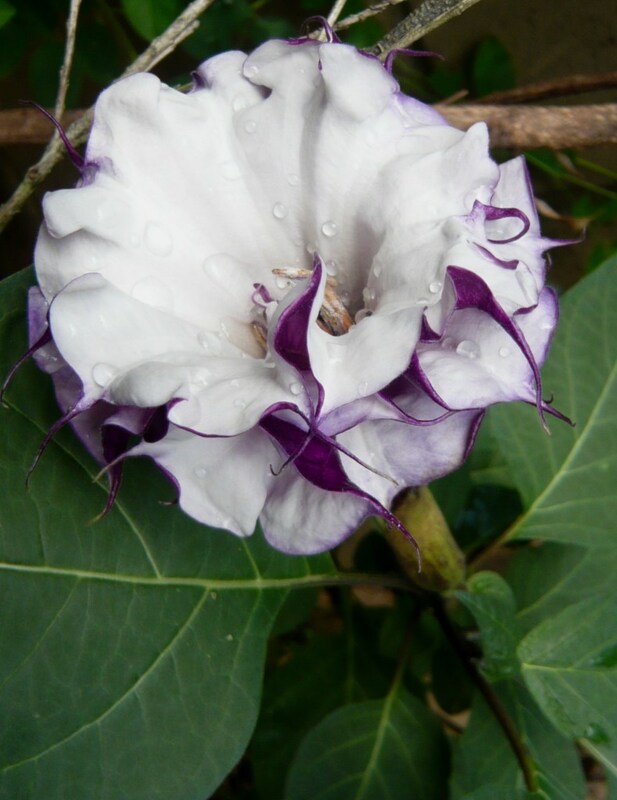 whereas Datura – “Devil’s trumpets” – always want to catch these gifts for themselves! 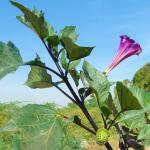 Both Datura and Brugmansia belong to the same family, the Solanaceae family. They share certain attributes in common. 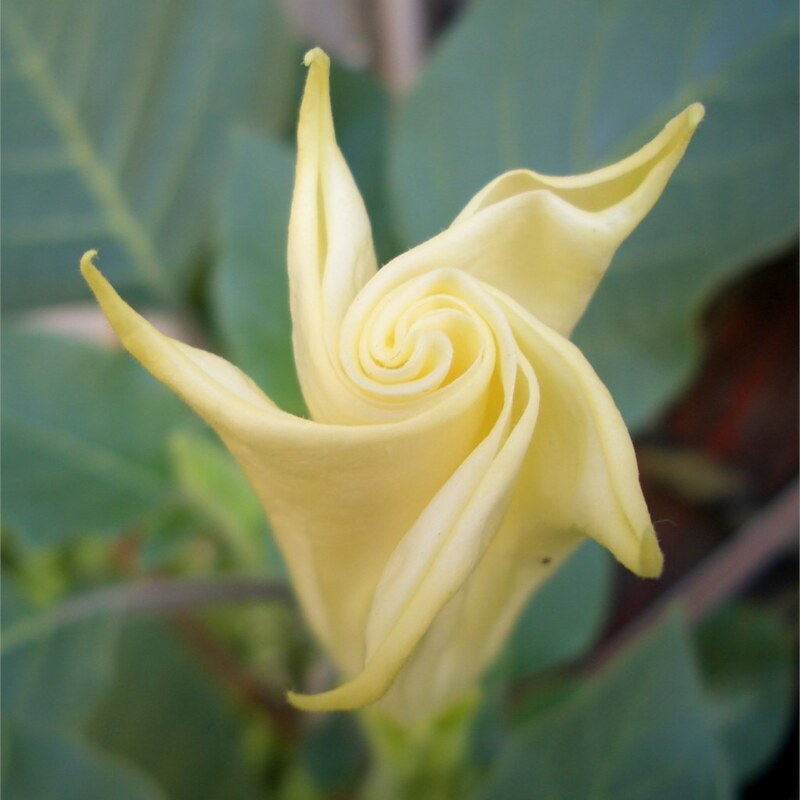 Fragrance – both Datura and Brugmansia release a strong, heady fragrance that is delightful. In confined areas it can even become overpowering. Flower – Trumpet shaped! Bugles grown for the armies of angels and demons alike! Leafage – leaves are typically shaped like those of other solanaceae plants. Leaves have wavy edges for most varieties. For example, they’re similar to leaves from eggplant and potato. Toxicity – both Brugmansia and Datura are toxic from root to tip. Avoid growing if your pets tend to nibble anything within reach. 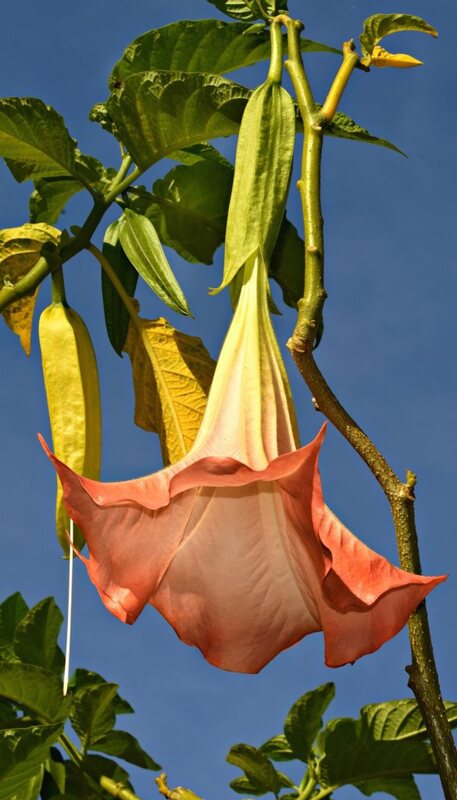 Note: if your toddler or child has eaten brugmansia or datura plant parts, get in touch with emergency or poison services in your area immediately. Which is best – Brugmansia or Datura? 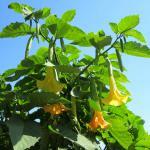 Depending on the size of your garden, you might prefer either Brugmansia and Datura. Brugmansia will grow rather large, up to several yards tall. It grows into a tree-like shrub. You can guide it along a lattice to ensure it doesn’t fall over. This is especially relevant when growing it along a wall, where growth is imbalanced. 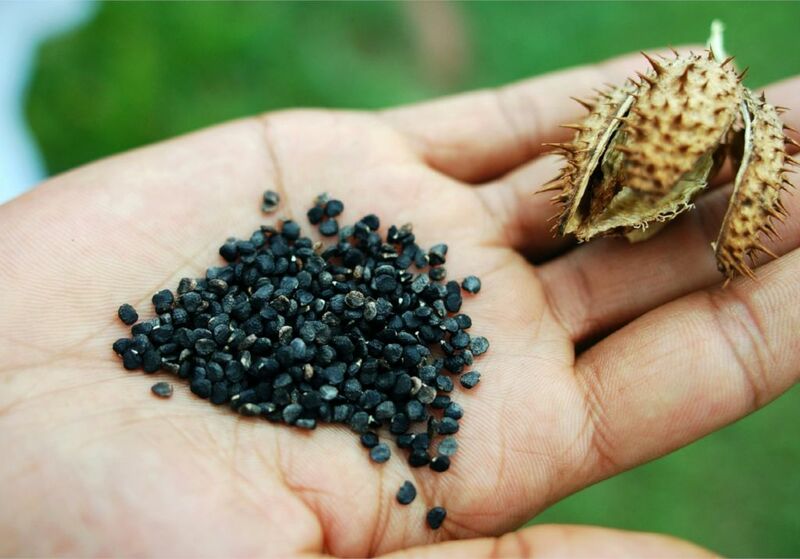 Datura stays rather small, and tends to send new branches out from the base when older ones die off.